Slotter tools when compared with the shaper tools differ in their constructions. It differs from their applications of cutting with a single point tool in so much that, instead of cutting on a line perpendicular to its length, it cuts parallel with its shank. To allow for such changed conditions the tool shape is considerably modified. The cutting edge is formed on the end of the tool so that it cuts when pushed endwise and which puts the tool under compression. Slotter tools have front rake (100-120), no side rake, and front and side clearance (50). The usual top rake angle of lathe tool becomes front clearance angle for the slotting tool. 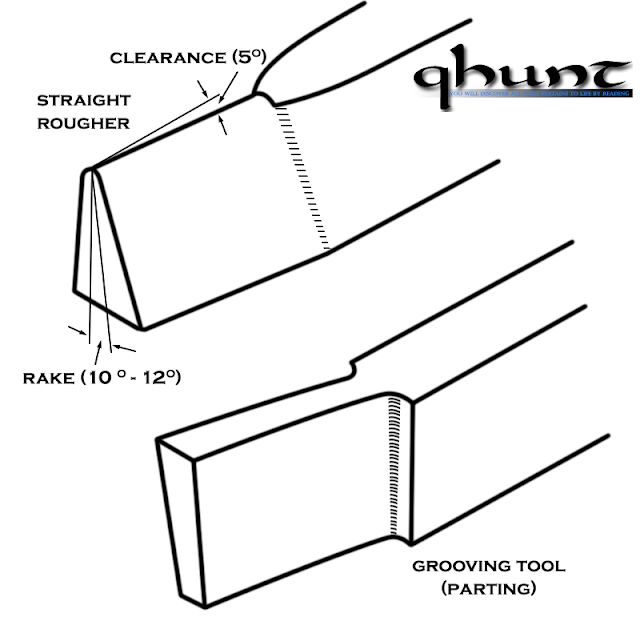 Front clearance angle of the other single pointed tool becomes the top rake angle of the slotter tool. In the case of slotter tool, generally there is no side rake. 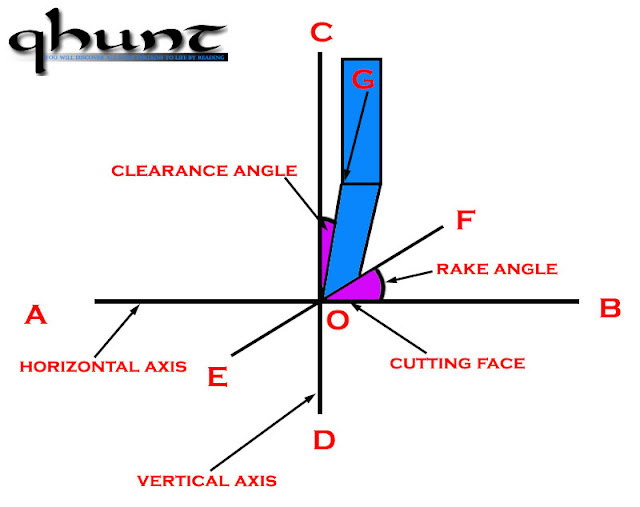 But side rake angles are given whenever it is necessary. Tools need to be of large and rigid section, as the tendency of the cutting is to deflect the tool away from the work because it almost pushes the metal off the piece being machined.